For many, there are but 2 DVS packages for DJs to tamper with. 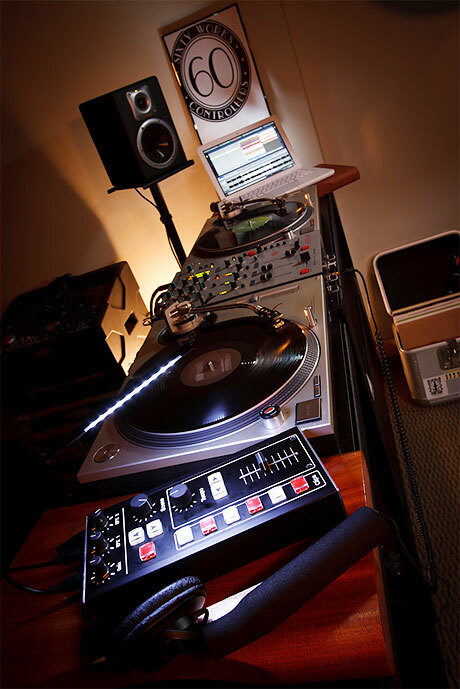 But there is a third, that started life as simply Mixvibes, but has subsequently scaled down from being an enormous package that covered all eventualities, into a much more focussed DJ software package called Cross. Version 1.5 is upon us and now has effects as well as a few improvements. Up until recently, making a piece of custom DJ gear was damned near impossible. The sheer costs involved made it extremely prohibitive. But MIDI has changed all that, and now DJ gear can be as simple as a selection of pots in a plastic box. But 60 Works aims to take this homebrew ethos to the nth degree and wants to make your custom controller dreams come true. As mentioned in the last story, but indeed worthy of it's own piece if only to spur on others to get their offerings all iPadded up, Virtual DJ have decided to dip their toe into the world of iOS hackery and have released their very own Virtual DJ iRemote app for iPhone and iPad. Time to tentatively get back in the saddle after a few days of overindulging in too much brown food and attempt to get back up to date with what's going down in the DJ technology scene. And this doesn't get more up to date than this - I'm quite the iPad convert and my iPhone has become little more than a way to make calls (how bizarre), whereas the iPad is getting some serious abuse for all manner of things. And the latest app to make it to the skratchpad is Midi-To - a full on MIDI controller for Scratch Live. I'll keep this short and sweet, as I expect you're all ready to switch off your computers and go party - or is that just me? 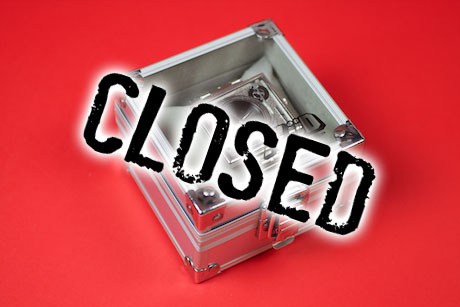 This morning I did the prize draw and all winners have been informed, so if you entered, check your inbox. Outside of that, I'll leave new skratchworx employee of the year Duncan Whitehead to wish you all a Merry Christmas, happy holidays or whatever you do at this time of year. Have fun, be safe and I'll see you in a few days. 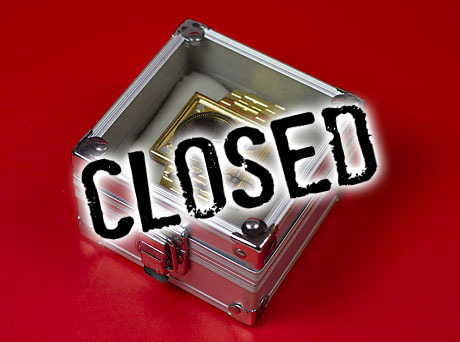 As the oh so cheesy but extremelt seasonal graphic above says, all the prize draws are now officially closed. But that was fun wasn't it boys and girls? I've just had a quick tally up, and Skratchworx Santa has given away just under �1K's worth of booty this year. All that is left is to pick the winners of said pressies. One Day Left - get your entries in! I've had a stream of questions, pretty much all of them being about exactly when I was going to announce the winners of the daily competitions. I had decided to do it during the holidays, but then it struck me - what kind of Santa tells you what you've got AFTER Christmas Day? Certainly not Skratchworx Santa! So you've got 24 hours from now to get your entries in and I'll announce the winners on Christmas Eve. 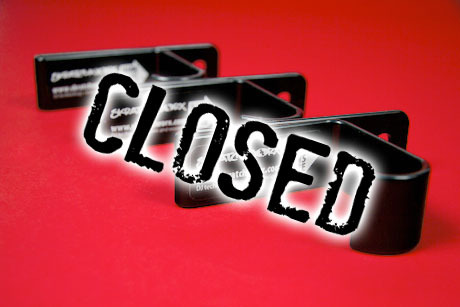 So here we are dear readers - the last day of the Skratchworx Santa giveaways. Yes I know that it's normally the 12 days of Christmas, but there's been a recession, and in line with the Lapland government spending review, it's now the 11 days of Christmas. 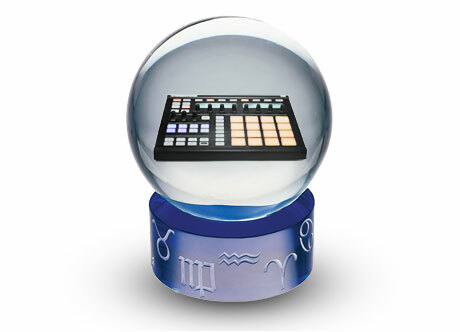 Yesterday I gave a small but clumsy clue (native-ity) as to what the final prize draw might be - and yes, I do have some Native Instruments stuff to give away to the good boys and girls only. It's a 3 parter - the winner gets a full copy of Traktor Scratch Duo and a t-shirt, the runner up gets an Audio 2 DJ interface and a t-shirt, and the final 2 drawn get a t-shirt. Not too shabby really. C'mon - I gave a way Technics last month. I did kind of peak right there. Things are getting tense now� final preparations are being made for the big day - the one where I switch off the lights in the skratchlab and allow myself a nervous breakdown, and decompress in readiness for the challenges that 2011 will bring. Well when I saw bring, I actually mean mercilessly heap upon myself in a bid to keep you dear readers happy for another year. But that's next year - in the meantime, here's the penultimate pressie from Skratchworx Santa's sack - a rather lovely pair of Audio Technica ATH-PRO700 headphones. We're getting close now. Skratchworx Santa is beginning to run out of steam, and the sack is almost empty. I'm rummaging around in the darkest recesses of my big red sack and more often than not coming up empty. Looks like Friday will be the last day for spreading festive love, but I do at least have a nice bundle of goodies to give to some lucky people. But back to today - the Flud watch proved to be very popular last week, so I've managed to up the bling factor a tad and now have a gold TableTurns watch to bestow upon one happy reader. 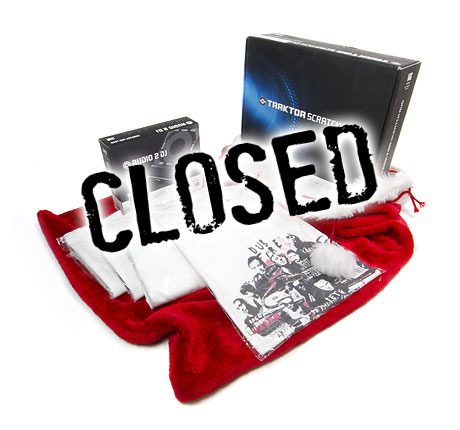 Time marches on, and so does my special Skratchworx Santa giveaway. To me, this is just having a jolly old pre New Year clearout of gubbins that just clutters up my small but highly optimised workshop, in readiness for the massive challenges of 2011. And I guess that makes me a very lucky Santa to have headphones kicking around being unloved. 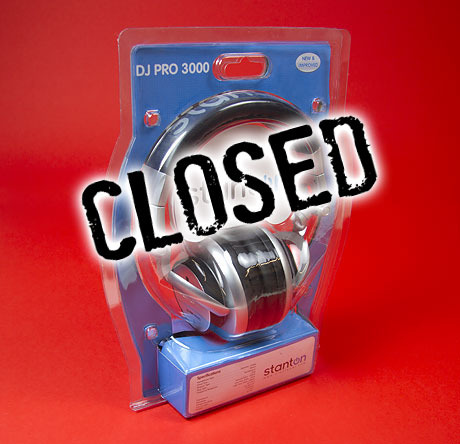 So today, Stanton gets a second showing, with the DJ Pro 3000 cans. I admit it - I got confused yesterday. Clearly wishing the holiday season away, I said it was day 7 when it was just day 6. But today really is day 7, and I've got dug deep into my bag to pull out� a bag. 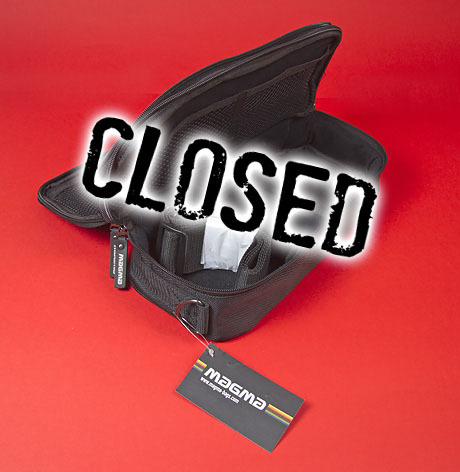 It's the small but perfectly formed Magma Digi Case Medium - idea for all kinds of things. But perhaps not quite big enough for Skratchworx Santa to hold all those pressies for all you good (and apparently bad) girls and boys. 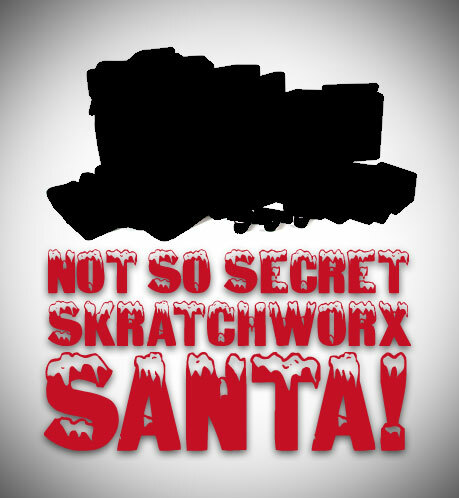 Skratchworx Santa knows you know. Golly - you have been keeping skratchworx Santa busy haven't you? So I think that I deserve a little rest today, as next week is likely to get incredibly hectic indeed. So today, I've got something that will appeal to a very small group of people, specifically Vestax VCI-300 owners. 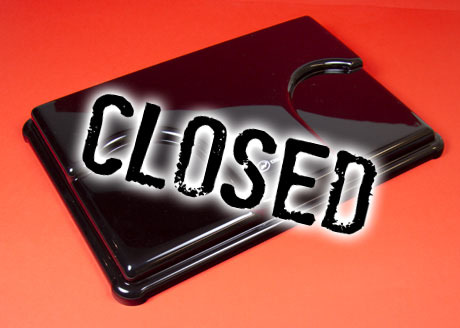 Up for grabs is a very shiny Black VCI-300 Decksaver. Skratchworx Santa doesn't sleep. So even though it's the weekend, I'm still busy gathering up stuff to give away to my loyal readers. When I say gather, I mean look across to my work bench and go eeenymeenyminymo� and this time my felted glove has fallen upon some shiny bling, in the shape of a Flud TableTurns silver watch. You could say that I know what time it is� HO HO HO! I'm finally down wiv da kidz init tho. Wait� what? Aren't Native Instruments and Serato mortal sworn enemies? So what the bloody hell is going on here? It looks very much like NI have posted a video actually showing off SSL being used rather splendidly. Oh I see now� Faust and Shortee (not the UK one - that's Short-E, hi Emma! ) are taming Scratch Live with some style with Native's Kontrol X1. And that's what this clip is all about. Day 4 of my big giveway, and getting into the more potentially more popular stuff now. 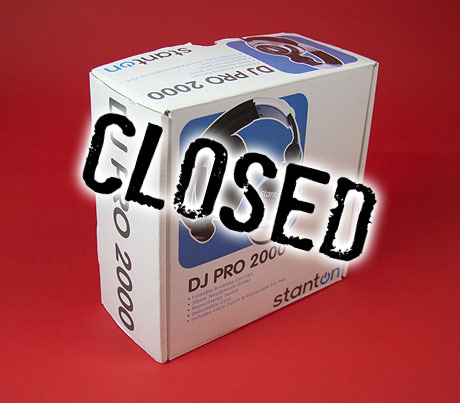 After Gizmo's massive headphone review, he was left with a few pairs kicking around (sadly not the Sennheisers) to give away, and the first of these are the Stanton DJ Pro 2000s. As you'll appreciate, Christmas is the busiest time of year for skratchworx santa. So instead of running the daily draws for 14 days (and risk boring you all to death), I'm putting 3 into 1 today. I've got 3 different t-shirts up for grabs - an Stokyo Shibuya Breaks t-shirt in large, a Serato Bridge t-shirt in medium, and finally a very high quality and extremely desirable Eric Orr Rane t-shirt in XL. I don't do logos these days, but I'm sure you hepcats would look "hella dope" or whatever street jive you all use these days. I'm no expert in the art of beat making or sample slicing. But I do know that the evening I spent with Native Instruments Maschine made me want to relive my youthful beat making dalliance with the rather clunky but wonderful Cheetah SpecDrum as well as the icantaffordan808 Korg KPR77. So the following teaser list doesn't mean that much to me, but I know enough to see that things are getting significantly better with every release. Well kiddies - weren't you a busy bunch yesterday? According to my records, not all of you were as good as you claim - but that's OK because I'm feeling seasonal and generous this year. So what's did I find in my sack today? 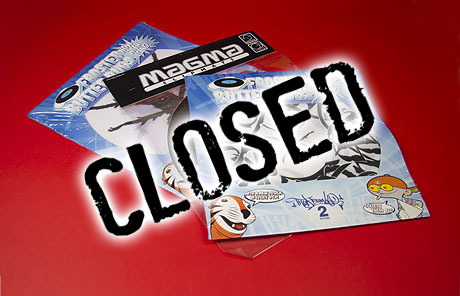 Slipmats that's what - 2 pairs of Thud Rumble Frosted Plates and a pair of slightly thicker Magma mats. As you might expect, I do get my fair share of gratuitous goodies bestowed upon my bad self. And while it's only fair that I get to keep some of it for my efforts, It's high time I donned the red cape, white beard and spread the love to a small handful of readers. So looking around the skratchlab, I've gathered together a small sackful of Christmas pressies for you to try and nab. Love them or hate them, but Apple have made enormous inroads into the consciousness and bank accounts of many DJs and music makers. The iPhone really tried to become a valid device in this industry, but there never really was a feasible and compromise-free way to squish 2 decks and a mixer into a handheld device. But the iPad is a different proposition altogether, and with iOS 4.2 bringing full iTunes library access, there never has been a better time for Algoriddim to release an iPad version of their successful Mac only djay software. And yes - I made the video. 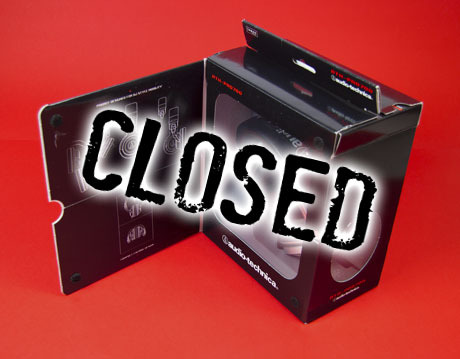 Wow� after getting over 2000 responses to the skratchworx survey, it's now over. And importantly for one lucky person, the winner of the 2 Technics turntables and Ecler HAK360 mixer has been chosen - as has a second name just in case the first name fails to respond to the email. If you filled in the survey and registered with a yahoo.com email address, you'd better pick up your mail right now. Interesting one this. If you're an EU resident and over 21, seems that American DJ might like to fly you to the Mobile Beat Show in Las Vegas in February. And all you need to do is tell them exactly which product you'd take there and why. Just watch the above clip, read the following bumph and break out the video camera.